Employees are working from home more and more each day. 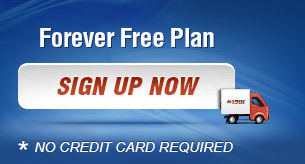 Provide them a flexible, easy, secure way to ship packages and documents. Allow them to use DHL, Fedex and UPS in one system with integrated reporting and tracking, or configure their profile for only one or two carriers if your business uses one or two. Vendors often markup their shipping costs when passing them onto you. Have your vendors use your carrier accounts to save money. With our system you are not required to disclose your carrier account numbers to your vendors, and if helpful you can restrict their allowed Ship To address(es). Moving, or adding/vacating offices??? Quickly & easily switch services and Ship To addresses without effecting Partner processes. Simply update the profile(s) assigned to your Partners. Using Fedex Billable Stamps today? Those stamps become lost, you're constantly re-ordering/sending them to your partners, and what happens when you need to change the Ship To address(es)? Our system provides a flexible on-demand label generation process to solve these problems. Need a cost effective method for Customers to return items? No problem. ShipTropolis is your answer! Compare our pricing to the competition's return label cost.